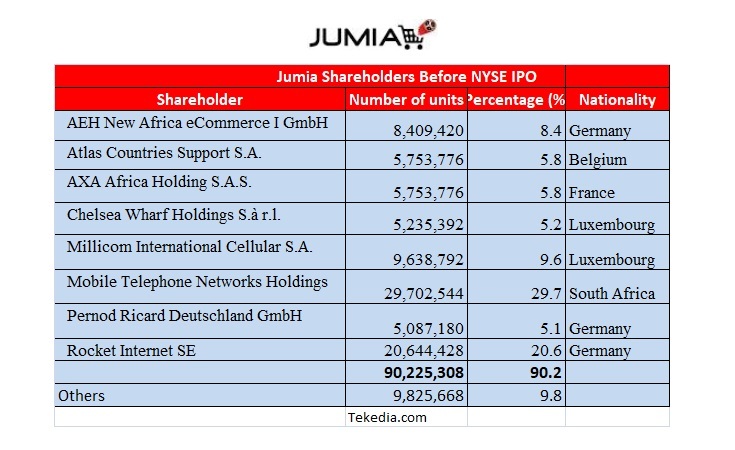 I have seen the other table where someone assigned the “original founders” of Jumia Nigeria double digit percentages of the listed Jumia. Sure, our brother (Nigerian) and our Ghanaian cousin were those, we knew, that started Jumia Nigeria. People did expect them to own huge pieces of the firm. Evidently, the title “founder” does not mean you own a company. Today, people are paid to hold titles of ‘co-founder” and paid regular wages with no equity in companies. Legally, they award you 1 unit of stock when 50 million units are available! Yes, you are co-founder but we understand the size of your plate. The table they are sharing is fake – disregard it. Mine is genuine. We extracted it from Jumia filed papers with the SEC/NYSE (Securities & Exchange Commission/New York Stock Exchange). Forget any alternative facts and trust that one. This is the link to the report and I am sharing the raw table below. There is no sentiment here – this is free enterprise. It is possible to hire a Nigerian in London, give him money to start a business in Nigeria, give him title of Founder when he does not even command 0.1% of the company! To understand why, go back to AO Lawal’s Economics where he explained Capital as a factor of production. It remains scarce and controls all other elements of production. So, there is no need to argue over reality. 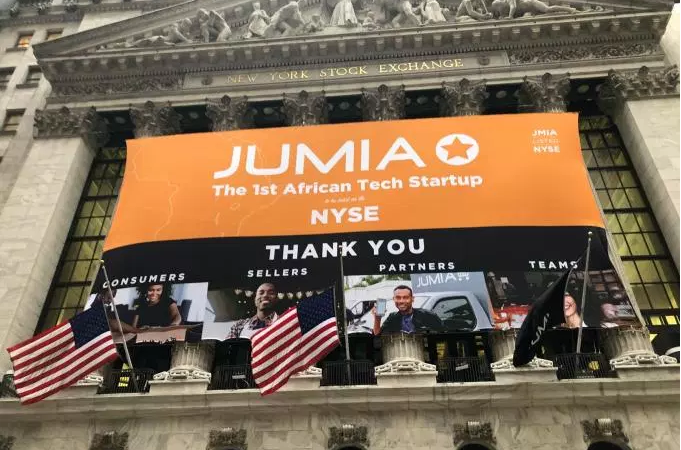 Jumia filed in United States SEC its principal shareholders. 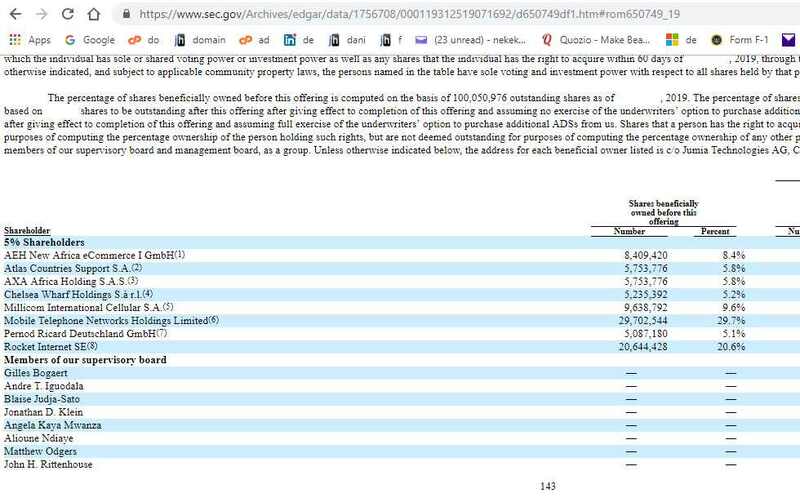 Those are the shareholders, period. Any previous PowerPoint or document is irrelevant at this point. You can always trust anything I share as they are backed by above Google research.